MARINETTE, Wis. (NNS) — The Navy accepted delivery of the future USS Billings (LCS 15) during a ceremony at the Fincantieri Marinette Marine (FMM), shipyard, Marinette, Wisconsin, Feb. 1. The future USS Billings is the 17th littoral combat ship (LCS) to be delivered to the Navy and the eighth of the Freedom variant to join the fleet. Delivery marks the official transfer of the ship from the shipbuilder, part of a Lockheed Martin-led team, to the Navy. It is the final milestone prior to commissioning, which is planned for later this year. Several additional Freedom-variant ships are under construction at FMM. 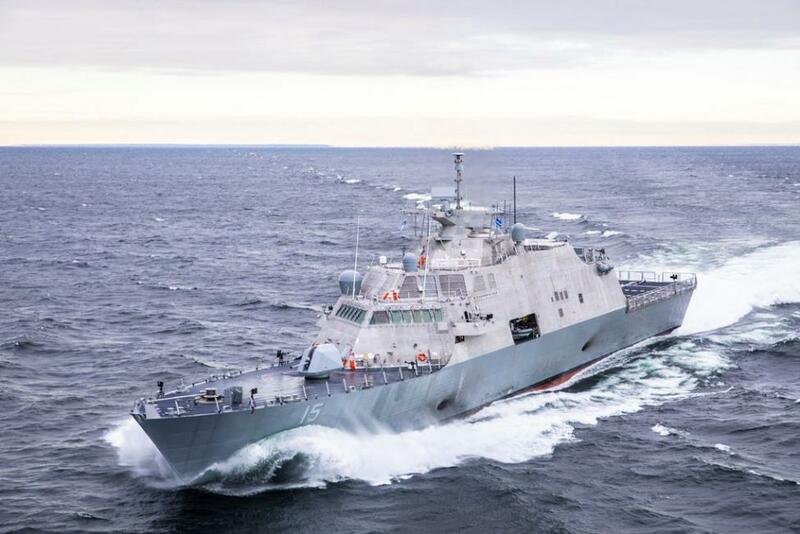 The future USS Indianapolis (LCS 17) is preparing for trials this summer. The future USS St. Louis (LCS 19) was christened and launched in December. The future ships Minneapolis-Saint Paul (LCS 21), Cooperstown (LCS 23), Marinette (LCS 25), Nantucket (LCS 27) and Beloit (LCS 29) are also in various stages of production, with yet-to-be-named LCS 31 awarded last month. The LCS class consists of two variants, the Freedom variant and the Independence variant, designed and built by two industry teams. The Lockheed Martin-led team builds the odd-numbered hulls. The Independence variant team is led by Austal USA, Mobile, Alabama, (for LCS 6 and the subsequent even-numbered hulls).